Don’t miss our 4 polls below! Results to be announced in March 2nd Displaced Dispatch! Enjoy! When I first repatriated to the United States, I relished the chance to watch the Oscars again. For some reason — I’m not sure why, particularly as I was never a big movie buff — I regretted missing out on the pinnacle of Hollywood glamour during my years of living overseas, first in England and then in Japan. It did not take long, however, before the novelty wore off. I grew bored with the dresses — they all seemed so same-y. And a tux is a tux is a tux. I also grew bored with the selection of films. Typically, Oscar-nominated films take place within a single country’s borders — and when people cross these borders, it is in the service of maintaining them (IT’S WAR!!!). Apart from when Sofia Coppola was singled out for her Lost in Translation screenplay, the plots do not exactly speak to me and my prior situation of displacement. Steven Spielberg’s Lincoln — the quintessential American biographical period piece that the Academy loves (it is predicted to win five Oscars, including best director for Spielberg). Likewise, Argo (likely to win best picture along with some other prizes) and Zero Dark Thirty (likely to win for best original screenplay) depict epic events in the — albeit much more recent — American past. And although each of these films portrays Americans abroad, it shows them acting in the service of president and country — with the aim of protecting other Americans. Nothing too displaced about that. The comedy-drama Silver Linings Playbook (likely to win Best Actress for Jennifer Lawrence) is about two people who bond over shared neuroses — could anything be more American? Not to mention their common love of pro-football (no, Andy, not the soccer kind!). It also provides an occasion for displaced Taiwanese filmmaker Ang Lee to try his hand at 3D storytelling. Why are we trying so hard to fit in when we were born to stand out? WELCOME TO THE 2013 DISPLACED OSCARS. If we don’t fit into the Hollywood version, we may as well host our own event. We invite you to vote on your favorite films in the four categories we have created below. Preliminary results were announced in the Displaced Dispatch that came out on Saturday, February 23rd. Final results will appear in the Dispatch that comes out on Saturday, March 2nd. Be sure to sign up if you haven’t already! SUMMARY: Manhattanite Sam (Daniel Henney), an arrogant young lawyer, is transferred to his firm’s Shanghai office. He bungles his first assignment and finds his career in jeopardy. With the help of his beautiful relocation specialist, among others, he just might be able to save his job and learn to appreciate the wonders that Shanghai has to offer. WHAT CRITICS ARE SAYING: How often do we get to see Shanghai on the big screen? That said, the plot is somewhat shallow and fails to make the most of Sam’s background as a Chinese American. SUMMARY: A group of British retirees — played by British acting greats like Judi Dench, Maggie Smith and Bill Nighy — have outsourced their retirement, attracted by the less expensive and seemingly exotic India. 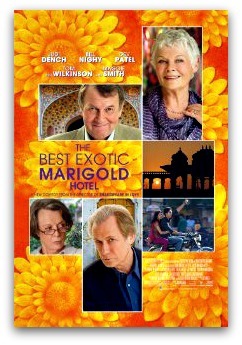 They are enticed by advertisements about the newly restored Marigold Hotel and given false dreams of a life with leisure. WHAT CRITICS ARE SAYING: At the 2012 Mumbai Film Festival, the film was honored for showcasing Indian filming locations — a view not necessarily shared by viewers outside the subcontinent. Some of us feel that India was slighted by being treated as the shimmering background to a story about retirement-age self-renewal. SUMMARY: Thirteen-year-old Nicholas Barclay disappeared from his home in San Antonio, Texas, in 1994. Three and a half years later, he is allegedly found alive, thousands of miles away in a village in southern Spain with a story of kidnapping and torture. His family is overjoyed to bring him home. But all is not quite as it seems. The boy bears many of the same distinguishing marks he always had, but why does he now have a strange accent? Why does he look so different? 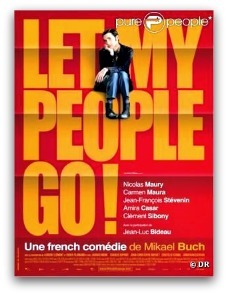 This British documentary concerns the 1997 case of French serial imposter Frédéric Bourdin. 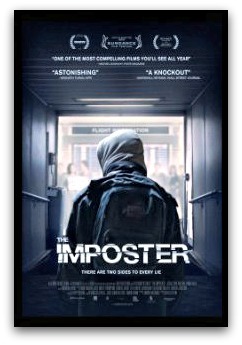 WHAT CRITICS ARE SAYING: By common consensus, The Imposter is one of the year’s most provocative pictures. Certainly, Displaced Nation writer Anthony Windram found it that way. In one of our most popular posts of last year, he mused that Bourdin’s story is not entirely unfamiliar to expats, all of whom have chameleon-like qualities. WHAT CRITICS ARE SAYING: The film shows what happens to expats who live too long — there are no remnants of “paradise” left. But some — e.g., A.O. Scott of the New York Times — have faulted the director for glossing over the issues of colonialism in the film in favor of simple aestheticism. SUMMARY: A cinematic memoir drawn from Ávila’s own experiences, the film paints an unsettling portrait of families affected by military dictatorships. The year is 1979, five years after Perón’s death, and the family of 12-year-old Juan, who have been living in exile in Cuba, returns secretly to Argentina. Juan’s parents are members of an underground organization and for sake of their cover, he must assume the name of “Ernesto” and pretend to be a newcomer from northern Argentina. [T]he writing needs to be sharper to avoid feeling like a generic coming-of-ager. SUMMARY: French immigrant Reuben (Nicolas Maury) is living in fairytale Finland — where he got his MA in “Comparative Sauna Cultures” — with his gorgeous Nordic boyfriend Teemu (Jarkko Niemi). He works as the mailman in a neighborhood whose colorful houses look like Scandinavian Skittles. Then, after a misunderstanding involving a parcel full of Euros, Teemu casts his lover out of Eden, sending him back to where he came from: Paris. 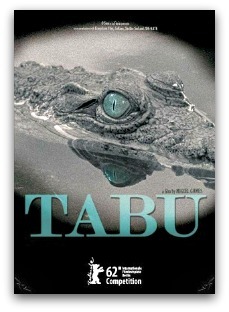 The movie’s labored attempt at creating comedy mostly means lots of scenes with Ruben cringing as relatives shout. Wright, with flat and flavorless images of an utterly impersonal banality, takes Tolstoy’s plot and translates it into a cinematic language that’s the equivalent of, say, Danielle Steel, simultaneously simplistic and overdone. Hugo’s story of populist uprising in 1832 Paris resounds in an era of the Arab Spring, the Occupy protests and general frustration over economic inequality. His Lincoln is tall and tousled and bent over with the weight of melancholy responsibility in the fourth year of the Civil War. [Day-Lewis] manages to inject so much quiet humour into what could have been a very reverential portrait. [The actor] inhabits the ageing figure of the 16th President of the United States with exquisite poise, intellect and grace. 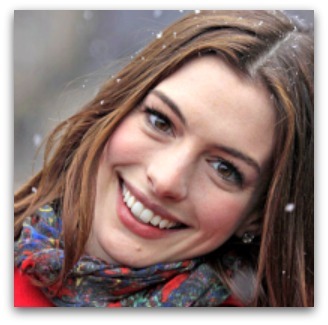 WHAT CRITICS ARE SAYING: Many find it impressive that Hathaway, cast as the tragic Fantine, sings the show-stopping “I Dreamed a Dream” in one take. (Tom Hooper’s contribution to the genre was having the actors sing rather than lip synch.) And some say that her willingness to have her locks shorn off on screen shows her commitment to her craft. That said, her performance is not to everyone’s taste. 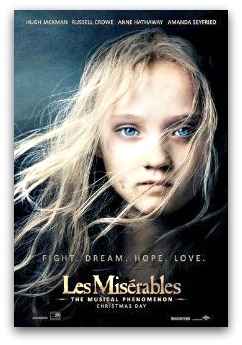 “Rarely have the movies seen such an embarrassingly naked plea for applause,” writes Australian film critic Jake Wilson — the implication being the Victor Hugo’s Fantine would have had more dignity. WHAT CRITICS ARE SAYING: Vikander’s “moxie” is apparently what landed her both of these parts. According to A Royal Affair director Nikolaj Arcel, every actress in Denmark wanted the role of Mathilde, but only Vikander had the requisite “regal quality.” She even went to Copenhagen two months before shooting began to learn to speak Danish fluently. 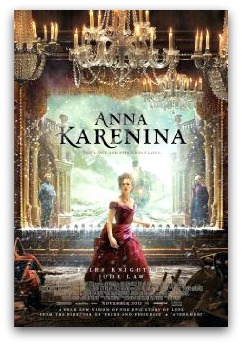 Likewise, Anna Karenina director Joe Wright saw in her the qualities to play Kitty, a flirtatious young woman who believes the dashing Count Vronsky is her Prince Charming, only to find love with a kind-hearted farmer named Levin. It is not uncommon for movie-goers to remark that she outshines Kiera Knightly’s Anna. Are we missing out on any films/categories? Please leave your suggestions in the comments below. Longing for even more expat and international travel films? Please go to our Displaced Oscars Pinterest board. Expats, do you play with your identities? Are you an imposter or a chameleon? Ladies and gentlemen, may we present: THE EXPAT OSCARS! Um…hello? Anyone there? Images: Oscar statuette courtesy Dave_B_ on Flickr; actor pix from Wikimedia. I think it can be counted as “displaced”. Interesting pick… It’s a documentary in which the director himself goes under cover to see if he can smuggle diamonds out of Africa in his diplomatic luggage. He poses as an over-the-top, rich European man who wants to buy his way to diplomatic status in the chaotic Central African Republic, a landlocked former French colony that is rich in natural resources but poverty-ridden. Notably, this is Brügger’s second attempt at what he calls performative journalism — in the first, he attempted to infiltrate Kim Jong-il’s North Korea. like watching Sacha Baron Cohen’s Brüno (minus the sexual references) and The Dictator mashed up into one movie that tells a true story. Wouldn’t we need to invent a new category — a documentary that reminds everyone of a mockumentary. 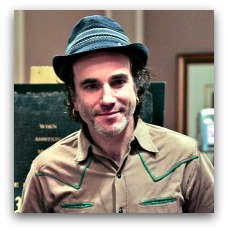 And what would the inimitable Mads Brügger wear to our award show, I wonder? Would he be handing out diamonds to all the ladies??? What a fantastic post! I’m always looking for new movies to add to my “to watch” list. You’ve got quite a few on your displaced list that I hadn’t heard of. An old favorite of mine is “Local Hero.” It’s about a young oil executive who’s sent by his eccentric boss (Burt Lancaster) to Scotland to buy up a fishing village. Some hilarious scenes but also a subtle exploration of what “home” is. p.s. Did you vote yet? !